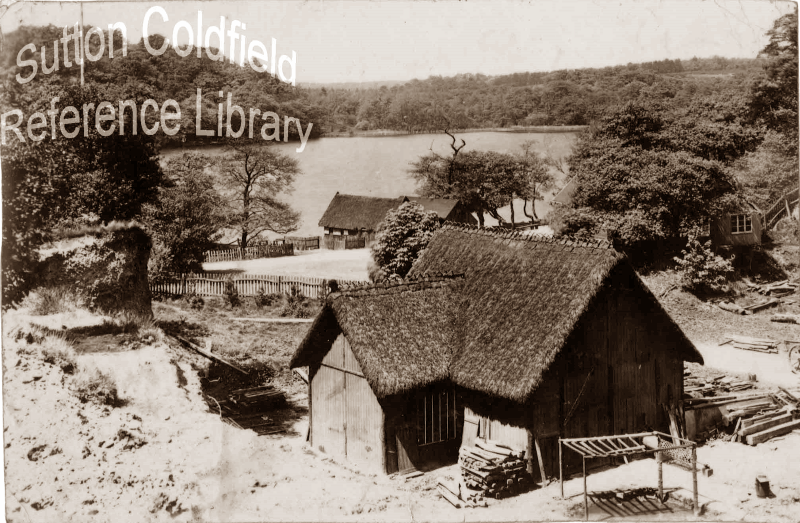 Thomas Bonell was not happy with the Warden and Society of Sutton Coldfield when they gave a lease to Mr. Dolphin and Mr. Homer a pool at Black Root in Sutton Park. In 1757 forty-eight acres of Sutton Park had been granted to Simon Luttrell of Four Oaks Hall by Act of Parliament, and later that year, on 26th September, came the Blackroot Pool grant. Thomas Bonell published a summary of the Act of Parliament, which he claimed proved the only way any grant could be made of any part of the park was by Act of Parliament, so the Blackroot Pool grant must be illegal. He started legal proceedings in 1762, but without success. The pool was made by building a dam across the valley, using material excavated from the nearby quarry, and the pool was completed by 1759, when Mr. Duncomb became a partner with Dolphin and Homer. The Warden and Society allowed Joseph Duncomb to construct a leather mill powered by a waterwheel, and the pool became known as Duncomb’s Pool. The lease expired in 1802, and Mr. Perkins became the tenant until 1864. Then the Warden and Society paid Mr. Perkins £210 to give up his lease of Perkins’ Pool with its boat and boat-house. The mill was defunct, and the pool was used for boating and pleasure, new tenants paying the corporation rents of £100 per year compared with the one shilling annual rent paid by Dolphin, Duncomb and Homer 100 years before. Sutton became a Borough in 1886 with elected councillors, and management of the Park was put on a modern footing. In due course Blackroot Pool became the only pool with boats for hire. In 1944 income from boat hire amounted to £3189/8/2d, and the fleet consisted of three motor launches, one speed boat, 107 rowing boats and 27 children’s boats in addition to punts and canoes. By 1956 the fleet had been slimmed down to the motor launch “Crusader” 30 rowing boats and 16 children’s boats. Sutton became part of the City of Birmingham in 1974, and shortly afterwards boating at Blackroot Pool was discontinued as an economy measure. Blackroot Pool from the quarry c.1880. Photo courtesy Sutton Reference Library.